February 19, 2019 – Big data is everywhere in the healthcare industry. From images, socioeconomic data, and lab tests to clinical notes, medical device readouts, prescription drug information, more data is streaming through the health system than ever before. But big data can bring big problems for organizations that don’t have the tools and strategies in place to make sense of this endless deluge of digital information. For most stakeholders, including many health IT vendors, the search for how to aggregate, analyze, present, and share data in a meaningful and accessible manner is far from over. At the annual HIMSS Conference and Exhibition, more than 43,000 attendees from around the globe gathered in Orlando, Florida to share best practices, explore new technologies, and learn about what’s next for data analytics in the clinical sphere and beyond. 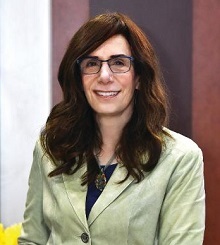 Among them was Judy Faulkner, the CEO of Epic Systems, who has been laser-focused on the intricacies of wrangling big data in healthcare since 1979. Faulkner has seen myriad changes to her industry over the years, but perhaps none so potentially transformative as the notion of marrying big data analytics with the financial grounding of value-based care. “Value-based care is certainly a challenge, and there are definitely some problems to be solved,” she said in an interview with HealthITAnalytics.com. That being said, health system leaders are not shirking from the task. “I’ve been very impressed that almost every health system CEO I know wants to move to value-based care because they feel it’s the right thing to do,” she stressed. Transforming the healthcare system into a value-driven ecosystem will require organizations to embrace new ways of using their data to create greater efficiencies, more robust clinical decision support, and stronger relationships between patients and their various providers, Faulkner said. In order to achieve those aims, stakeholders must break down the process into manageable steps that will lead them down the path to the well-known Triple Aim. For Epic Systems, eliminating administrative red tape and leveraging the sheer scale of its user base to generate actionable insights are among the top priorities. Faulkner outlined four specific, near-term goals for Epic that she considers “groundbreaking” for providers and their patients as the industry moves deeper into value-based approaches to care. Epic is a hugely popular EHR choice for acute care providers and ambulatory organizations alike. Its large customer base means that it has at least some data on millions of Americans – almost 200 million, to be exact. By pooling as much (deidentified) information as possible in Epic’s big data research network, known as Cosmos, Epic is able to support analytics and decision support capabilities on a massive scale. “The most exciting, in my view, is the ability to support evidence-based medicine and make that information much more widely available to deploy in clinical practice,” Faulkner said. The tool will return information about the outcomes of patients that have already completed each treatment path, allowing providers to make informed decisions based on the experiences of similar individuals. “That’s groundbreaking to me, because right now only about 10 percent of clinical decisions are truly based on evidence and outcomes,” she asserted. Attacking the overgrown jungle of administrative processes is also on Epic’s agenda, Faulkner said. At the top of the list is prior authorizations (PAs), a process that is nearly universally reviled by physicians. A recent survey from the American Medical Association found that 91 percent of physicians believe PAs have a negative impact on outcomes, largely by delaying care, diverting resources away from patients, and even contributing directly to mortality. Most payers acknowledge that prior authorizations are a problem, and many are actively working to simplify and streamline the process. Faulkner believes that EHR companies can lend a helping hand, as well. Digital prior authorizations may also bring down costs and free up more administrative bandwidth for providers and their staff. Turning PAs into a background task conducted through the EHR could be a welcome way to reduce the widespread frustration physicians feel when trying to make treatment decisions. Epic may be a go-to option for hospitals and physicians, but it is also increasingly the health IT system of choice for other types of care providers, said Faulkner. Reducing the fragmentation that currently plagues providers as they conduct transitions of care is an important step for population health, she added. Whether transferring patients between care settings or simply trying to secure a referral, electronic communications can bridge gaps and ensure providers are kept up to date. The functionality is part of the company’s overall effort to introduce new methods of collaboration, interoperability, and data access that combine to create a “comprehensive health record” – the next evolution of the EHR. Building off of the idea of breaking down barriers for patients, Faulkner stressed the necessity of integrating socioeconomic data into the care process. This isn’t the first time she has hammered home the critical importance of the social determinants of heath (SDOH) – addressing underlying factors that contribute to poor outcomes is a cause that is close to her heart. Epic is in the process of releasing new tools to help providers collect socioeconomic information in a more standardized and computable manner, she continued. Some features are already available to customers. Integrating these socioeconomic data points is the ultimate goal for organizations that hope to succeed with value-based care, she said, and something that consistently tops Epic’s own list of priorities.